“Kurzeme Business Incubator” in cooperation with “Green and Smart Technology Cluster” invites all interested parties, who want to develop and realize their business ideas, thus taking a step closer to establishing their business, to participate in the BEE Lab (Boost regional Entrepreneurship by Enabling cross border cooperation) business start ups at the fifth Saldus Business School. The aim of the school is to provide basic knowledge and practical skills as the most effective tools for business creation and development, maintaining competitiveness, as well as the opportunity to realize and develop their innovative business ideas. Meetings with entrepreneurs, including those who have developed their companies abroad, will be organized. Let’s find out about their (non) success stories. The training will cover topics such as company strategy and management, marketing strategy, sales, start-up business management and many other topics. A mentoring program will also be provided where guest mentors will help participants, with their advice and experience, push the business idea for further development. 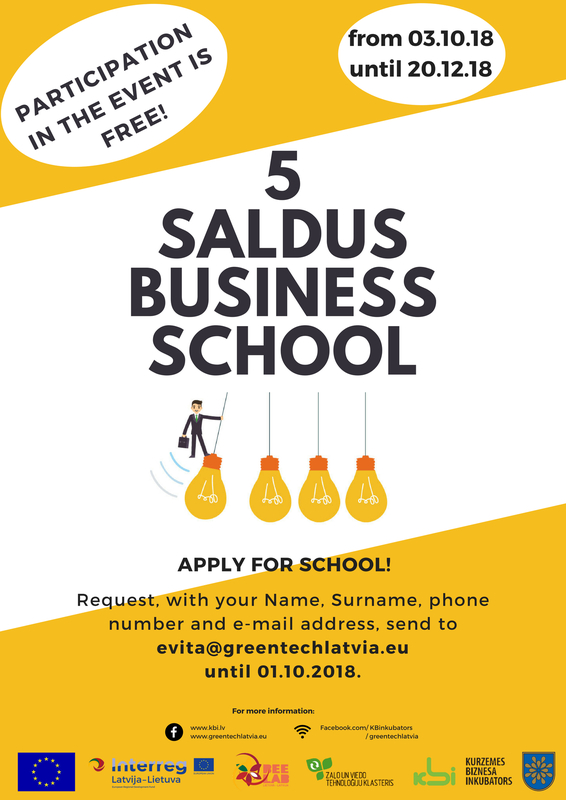 Saldus Business School lasts four months, where 1 month is the selection of participants to be held in September and 3 months of training from 03.10.18. – 20.12.18., where you can learn how to better define, evaluate and develop your business idea, develop a good business plan and get a lot of new and useful information. Training participants will be provided, even after the event, with mentors to support their ideas for further implementation, as well as to receive other services. Participation in training: FREE. Registration for participation in the event till October 1st, 2018, by sending a request to the e-mail: evita@greentechlatvia.eu, giving your Name, Surname, telephone number and e-mail in your application. The number of participants is limited! Saldus Business School is part of the LLI – 157 BEE Lab project (Boost regional Entrepreneurship by Enabling cross border cooperation). 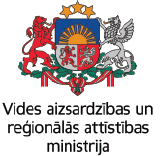 The project is co-financed by the Interreg V-A Latvia-Lithuania cross-border cooperation programme 2014-2020.